Good morning! I spent yesterday afternoon at the Infusion Therapy Center getting a unit of platelets because that ol' virus was a little harder on my platelet count than predicted. The transfusion went just fine. In and out in a couple hours, and I got my weekly bone marrow injection while I was there. I want to tell you about a new project I'm noddling on. It's called Autoimmune Affirmations. It is estimated that 50 million people in the United States have an autoimmune condition. That's about 1 in 5. That's a LOT of people - just in this country alone. Autoimmune conditions are those in which the body mistakenly attacks itself. People with autoimmune conditions often have really strong immune systems (I like to think of it as a super power) - but sadly, our immune systems are somewhat misdirected. Our bodies fight parts of themselves...mistaking those parts as "bad guys" even though they're good guys. In my case, it's platelets that my body destroys, and my autoimmune diagnosis is Immune Thrombocytopenic Purpura or ITP. There are approximately 100 known autoimmune diseases, and that list is anticipated to grow. I'm coming up on the 6 year anniversary of having ITP. It would be handy if it had disappeared and gone into a permanent remission. But it hasn't. It has remained with me. I have learned so much along this road, and I want to find more intentional ways to share what I've learned and serve others. I'd also like to connect with other people who have journeyed with autoimmune conditions and other chronic conditions. My main goal for Autoimmune Affirmations at this point is that it can be a source of encouragement for people (like me) who have a "dynamic" relationship with their bodies. Sometimes it's hard to love our bodies when we also resent our bodies. 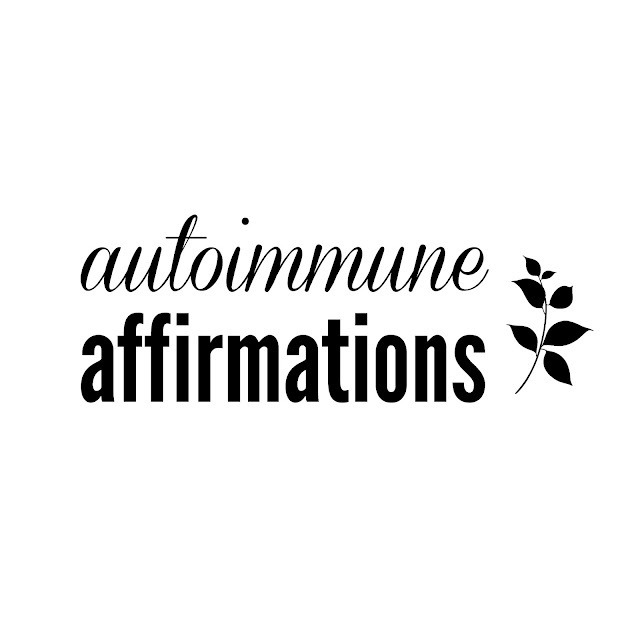 Autoimmune Affirmations is a project focused around the motto: "Love your body. Embrace your life. Make peace with your well-intentioned immune system." The new Instagram account (a partner to @emilyannecarson) is up and running. Just search @autoimmuneaffirmations. If you know someone with an autoimmune or other chronic condition, please share it with them. More broadly, this is for all people seeking a way to feel good about their bodies! It's also a resource for family and friends of those diagnosed with autoimmune conditions. At this point, Autoimmune Affirmations will be focused around daily doses of encouraging words and images. Perhaps down the road a newsletter or merchandise. We'll see! For now - it's all about embracing the bodies and lives we've been given and following a path toward body-peace instead of body-resentment.